Everyone understands the language of cinema, more so than they understand the language of painting, even though painting (as an art form) has been part of Western culture for over five hundred years. In recent times, cultural history has taken a back seat, overridden by technological advancements of the moving image, and the improved accessibility of cinema. Contemporary cinema, particularly the films that are coming out of Hollywood, deliver imagery of action sequences at break neck speed, often bewildering, and is accompanied by a fragmented narrative, which clearly lacks the cleverness of Tarantino’s surprise twist in Pulp Fiction. Clearly a state of atrophy in film making, although a sign of the times we are now living in. Good contemporary art contains an echo of how we live and what is important to us. And in Chelsea Lehmann’s latest exhibition The Original of Laura (2015), she captures the shared feeling that the ‘bombardment of imagery for cheap thrills’ is sabotaging our relationship with cultural history, and devaluing pertinent social values. Presented to us in a framework of ‘the iconoclastic gesture’, a mostly forgotten era of political upheaval and image destruction, not too dissimilar from our own. 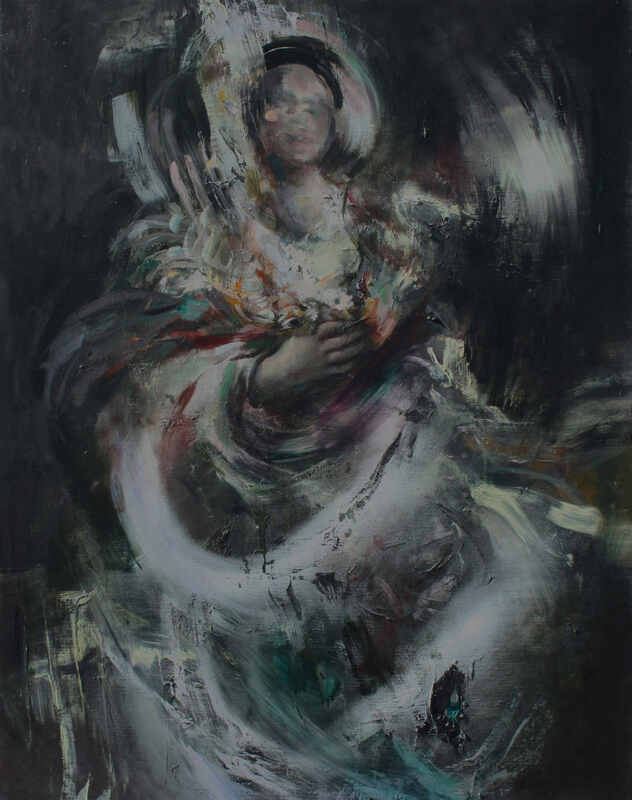 The Original of Laura is a contemporary painting exhibition, and is an extended body of work that uses the ‘iconoclastic gesture’ as its central theme. The iconoclastic gesture refers not only to image destruction, as it acts as a metaphor for the life and death of images within painting, both in its history and more recent contexts. Painting as a medium has a different process to other artistic mediums (such as photography and video art) in the manner, which the artist can trace his or her steps, and identifies the development of an idea, in small increments. And the larger the body of work, the clearer the idea becomes. To clarify this analysis; its my view that a series of paintings possesses shared characteristics with the serial narrative of contemporary television. For example the American crime drama television series Breaking Bad, is more meaningful and profound as five seasons rather than as a handful of episodes, the same goes with painting, its visual potency is strengthened through revisiting themes. In this exhibition, Chelsea Lehmann extensively revisits the theme of the iconoclastic gesture through the presentation of eight medium sized oil paintings that are in a portrait format. They are all figurative paintings (with the exception of one portrait painting) of young women, with most of them dressed in 17th-18th Century couture, rendered with an emphasis on realism, contrasted with dramatic elements of abstraction. The forces of realism and abstraction in relation to aesthetics are like competing atoms in the theories of modern physics, initially separating then fusing together sometime later. A significant aspect of aesthetics; qualities of past paintings influencing art in the future has always been an important part of painting, now more easily identified, through the increased book collections in the art sections of university libraries and more efficient search engines via the internet. When viewing Chelsea Lehmann’s paintings, an initial thought for many, would be the influence of the 16th century High Renaissance painter, Michelangelo Merisi Da Caravaggio. This is evident by the hazy backgrounds in her paintings, figures illuminated by candlelight and a reduced colour palette. For Caravaggio, the lack of a detailed background (sacrificing a sense of location for shadows), was a form of ‘tromp l’oeil’ an illusory visual trick, which is designed to persuade the viewer of his painting to believe that a fictional scene is actually occurring right in front of them. However, in 2015, the same painting trick, has a different context, and diverges from its original function. For instance, in Chelsea Lehnmann’s painting, ‘Sondage’ (2015), there is very little doubt, that the dark hazy background is not a visual trick, rather an effort to challenge the instant gratification and gimmicks of post art (it has been previously mentioned, Martin Creed’s Turner prize winning work, an empty room in which a light is turned on and off is a prime example). Her painting challenges post art through its ambition to be eternal, devoid of time and place, something out of human reach, something intangible; it is a type of art that exists outside our commercial society, and has more to do with the darker aspects of the human psyche. 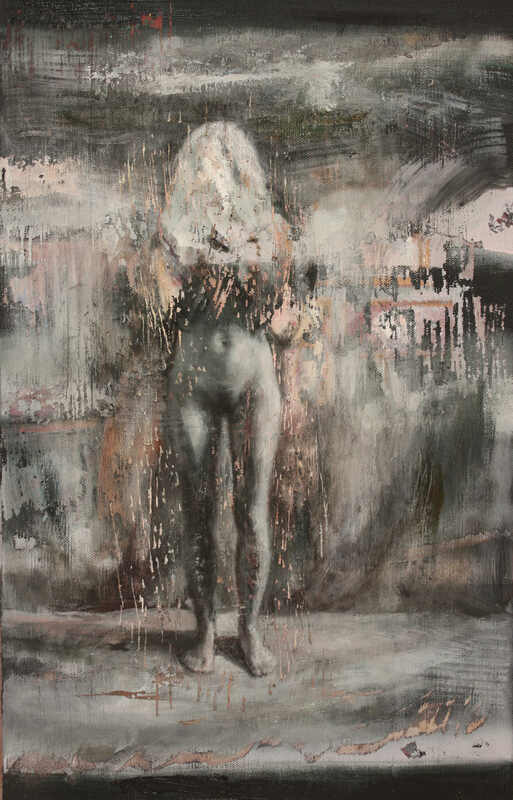 In Chelsea Lehmann’s paintings, the soft candlelight illuminating the young women who are the central focus of her work, follow a similar trajectory (in regards to challenging post art) as her inclusion of dark hazy backgrounds. In the High Renaissance and Baroque eras, the refined chiaroscuro painting technique inspired by candlelight was used to provoke an emotional merging with spiritual belief. Post analysis of the paintings in The Original of Laura confirms successful use of the chiaroscuro technique, except that its ability to evoke spiritual belief in the viewer is long gone. Yet what these painting appear to do is produce the correct ambience, an atmosphere that fractures our own desensitisation with imagery; gone is the banality of post art replaced with glimpses of beauty, obscured by abstract layering, which acts like the combination of the rapid frame rate of a Hollywood action sequence with the withered pages in an old history textbook; Chelsea Lehmann is not questioning what art is, she is asking what art means. The imagery does mean something to us; it is familiar, yet strange, allowing us to be reacquainted with our own cultural history at a safe distance, not exactly an arduous history lesson, neither is it a fleeting memory of a museum visit. It has the unpredictability of a Hollywood remake; it is not exactly what we expected to see yet this time it is better than the original. This entry was posted in Chelsea Lehmann, Interlude Gallery, James Aksman-Glos, The Original of Laura and tagged Breaking Bad, Martin Creed, Michelangelo Merisi Da Caravaggio, Painting, Pulp Fiction, Sydney galleries, Visual Arts by Mark Roberts. Bookmark the permalink. I’m wondering if you have run Bruce Pascoe’s launch speech of ‘Locust Girl’. I haven’t seen it, so if you have can you let me know when. And if forthcoming, when is it likely.